Haven’t posted trip report in a while but have been doing a lot of hunting in the last few months before I had a knee injury. One thing I can say is that the Lehigh 168gr CF is now my favourite subsonic projectile, one bullet turning into many. I haven’t had many through and most have very little blood trail. 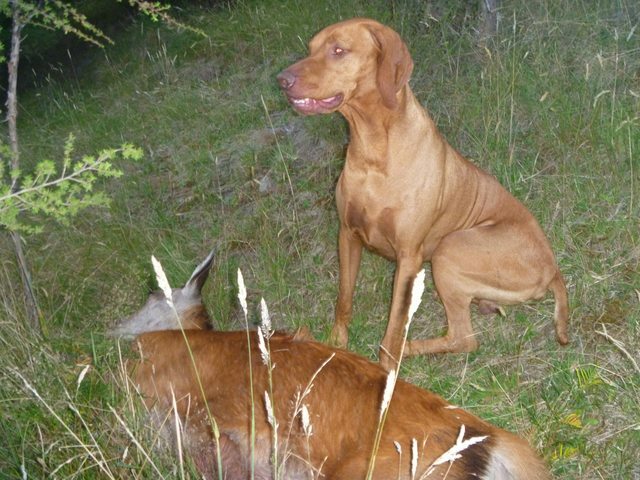 Anyway a couple of trips ago me and the ginger ninja “my vizsla hound dog” hunting in one of our favourite spots we seen 42 deer for the 6 day trip, we seen no stags probably because the helicopter did a cull operation shooting 300+ deer for 2 days over two a week period for the game chiller. As aIways I had to signal the dog off some deer sign a few times on the first day walking into our area and leave those deer for the other guys that only have the weekends off, as I’m very lucky to have more time work than the regular hunter, a shift work week on week off. It doesn’t always work out with the dog, sometimes I can’t get under logs or through tight bush and I’ll spook the deer off or he’s sniffing that loud that the deer hear him, but he moves like a cat or a ninja very quiet. I won’t shoot any hinds/does that have fawns with them, so it’s solo hinds or yearlings and stags only but that’s my choice. For that trip he got me onto 2 good eating hinds 18m and 36m shots on two separate hunts during the week and another one on an evening, we sat on the top of a clearing and below us 186m away was 3 deer feed had to wait for 15 minutes before I could take a clear shot. Earlier when we first got there I ranged the main spots of the clearings and put in all the ballistic info into the ballistic app -33degree downhill, 186m range, 27c temp, 980 barometer pressure which gave me 15.5 MOA to dail for the shot or 32” inches of drop. If I was shooting level it would be 21 MOA and 45” which is 13 inches difference and that’s probably a wounded animal. I had no way of shooting prone so I opted for a setted and a walking stick with the rifle resting on my thumb, waited for the yearling to stop and chest on i drilled the 168gr CF through her heart, she reared up on her back legs had a little giddyup and a cartwheel then droped 9m from the shot. The dog watched all this unfold and he was ready for his job tracking the deer. 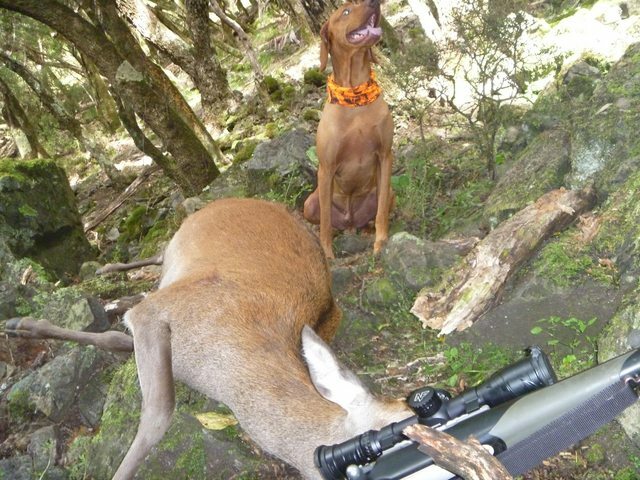 6 days culling goat and stalking deer all good fun watching the ginger ninja doing his thing. deer were in shooting range 5m-80m away, looking hard up above use in the red I could make out red in between the broad leaf trees, up with the bino’s 4 hinds feeding across a dry creek, next cycle a round into the chamber whined up the magnification for a better precise shot bang flop a hind on its back. Sort the meat out into zip lock bag and back down into the creek we’re the running water was and refrigerate for a few days for the return walk back to the truck. 3pm same day there was a stag roar on the other side 1400m away from us but we carried on up the tops to the side. Just finish setting our tent and camp up and there was another roar I replied he replied back and another stag started up. 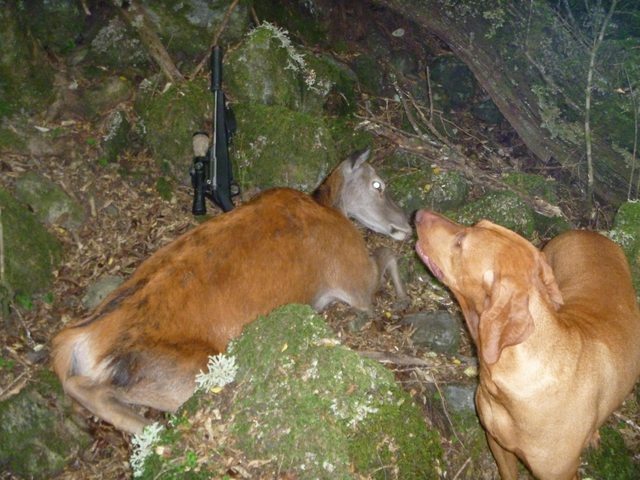 It was meant to be a meat hunt now it’s the roar a week earlier than normal, that it I’m chasing stag now new game plan. That evening seen 3 stags chasing hinds down below us and that night 7 stag roaring there guts out till 9am. Over the 5 days we had heaps of close encounters and even a spiker come 6m from the tent at 4am. On the last evening I shot scrubby 8 and it was dark by time we got down to it, sort the meat out and pack up for the marathon walk back to camp in the dark. 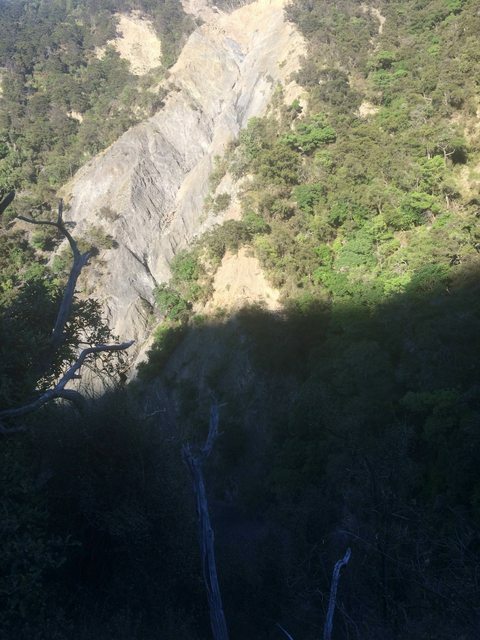 Part way along siddling around a rocky bluff and spur I slipped and twisted my leg and knee. By the time me a the hound got back to camp it was 11pm and 14 stags going hard all night. Next day we seen 3 more hind feeding first light then packed the gear up for a all day hop home back the truck. We got the other meat that was in the creek dumped some of the stag leg meat to lighten the load, a bit more hoping and 12 hours later back at home. Now I had been nursing my leg/knee for a week and a bit and still not 100% but I had planned an trip with the boys into a area that they hadn’t been in before. They were pushing me hard that I should go being the guide for this trip and as a backup we will take 2 trucks in case I have to come back because of my injury. We get to the car park stags roaring already we better sort gear put on the boots and go. We walk the river for an hour in the dark, next it the big climb to the tops but one hour into the climb my knees had enough. Sorry boys I can’t make it, your just going to do it without me. They carried on up the mountain, stags roaring here and there I’m so gutted now missing out on the roar. Hopping downhill again ( déjà vu ) for another hour now and the sun is just starting come out, I sat down on the top of a bluff overlooking the river and the slips opposite me. Seen 3 hinds walking across a grassy face with a 6 pointer stag in tow, then 4 more hinds with a 8 pointer. I roared at them but they wouldn’t answer back but another stag further up towards the boys and that set another stag off on the other side of me. In the end while sitting there 4 stags roaring that early hours of the morning. Next I hear rock falling opposite me but was goats no big deal, then not long after more rocks falling on the slip it’s more goat I thought to myself but no it was a nanny chamois but wait there’s more 6 more. I been hunting in this place for years and never seen chamois low down before. I sat there watching for 10 minutes before I decided I wanted to eat one and it would be my first time to shoot one with a subsonic 300 blackout and at only 140m and downhill shot of 4 degrees I set the rifle up and dail 13 MOA and lined up the youngest nanny. Pop pop I double taped her then the 6 nanny’s just carried on feeding and one was bedded down not even fazed what had just happened so I line another up on the slip and down she went straight to the valley floor with the other one. That was cool a first of firsts, If only the other boys were here with the 4K video recorder to see the action. One more hour to get down to the chamois and deal with the meat and hop back to the truck and back home the same day I left. Been eating chamois all week it’s a very nice meat it like lamb with out the fat. Most roars I normally have 3 to 5 week off this is the first Easter in 10 years I’ve been home the wife was happy. Would interested to hear if anyone else has shot a chamois or tahr with a 300 blackout and or subsonics next will have to try for a tahr. 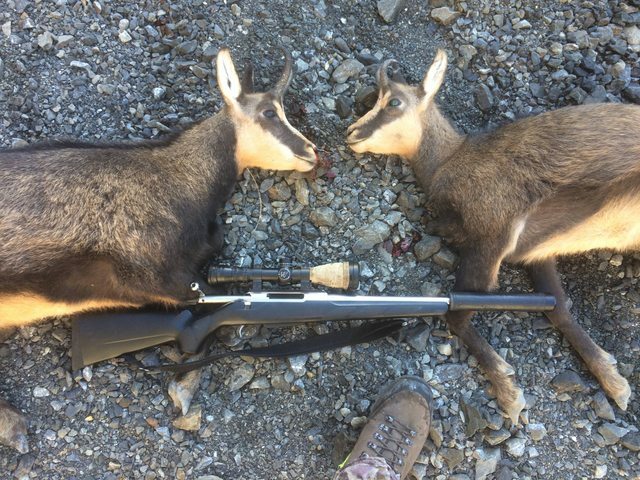 At a guess I'm the first person in New Zealand if not the world to shoot a Chamois using a subs in 300 Blackout, if not its a first for me. veitnamcam, NRT, madjon_ and 9 others like this. Those subsonic rounds work a treat alright.